AAcart is an affordable, powerful, professional shopping cart and catalog system. Yet, it is so easy to use. An online store or online catalog can be built in minutes using our powerful shopping cart software. Take control of your ecommerce website without html or Internet knowledge. All website set up and administration are done through a web browser. Our database driven technology makes adding a product as easy as typing in a product name, description, and price into a web browser. Our full featured shopping cart software features online order tracking, real time credit card processing, Paypal payment with Instant Payment Notification, ssl encryption, secure shopping, and much more. Check out these beautiful demo stores built with our shopping cart software! We are so confident that you will like it. You CAN build quality ecommerce website like the ones you see here. Take a Free Test Drive of our powerful shopping cart service today. It is very easy and absolutely free. If you decide to use our Shopping Cart Software for your live Estore, all of your configurations and data can be migrated to your live Estore. Open your Estore now. You'll be surprised to see how easy it is to create a powerful and professional looking ecommerce website. You will be selling online in no time. 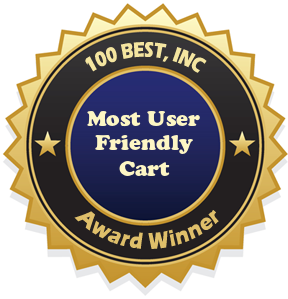 Our shopping cart software comes with no risk 30 day money back guarantee. We are now Paypal Express Certified. For instructions on how to setup your paypal express account, please click here. Copyright © 2002 Ecommerce shopping cart software all rights reserved.